For many would-be entrepreneurs, the process of coming up with a business idea can be daunting. Having the right idea is the first of many important steps along the path to entrepreneurship. It’s also one of the hardest steps – at least it was for me. To be frank, I wish I’d had a good idea-generation method back when I was looking to launch a business. Instead, I muddled through the whole process. For months I tried to brainstorm ideas. I failed miserably. Not a single useful candidate. Eventually, out of frustration, I read a magazine that listed 500 business concepts and went through the entire list – one by one. By sheer luck, I stumbled upon one concept that interested me. That is how I learned about the commercial finance industry and it is what prompted me to launch my commercial factoring company. Ultimately, the process was long and tedious. I don’t recommend it to anyone. Fortunately, there is a better way. 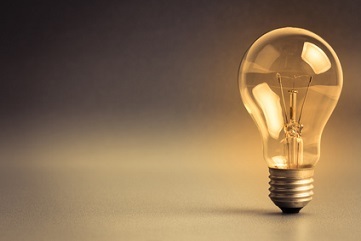 This article describes a simple process for generating a viable set of business ideas. Businesses have a simple purpose: they exist to solve problems. Think about any business and you will see this is true. This applies to every business, without exception. I’ll give you a few examples. Pharmaceutical companies solve medical problems. Restaurants solve a hunger problem. Entertainment companies sell a solution to the problem of boredom. Match.com solves the problem of helping you find a date. And the list goes on. This concept is a very important because business ideas hide inside problems. Therefore, problems truly are business opportunities. And, the bigger the problem, the bigger the opportunity. The most effective process for finding a business idea for your startup is to look for problems. This doesn’t require a special process. You can do it by simply living your life normally and paying attention. This last point is important – pay attention. Any problem, any inconvenience, or any challenge that you face represents a possible business opportunity. Make note of every problem you encounter. Also, ask your friends about their problems. Most will be very happy to share! Before long, you should have a decent-sized list of opportunities. Does the problem interest you? Can you figure out how to fix it – or improve it? Does this problem affect many people/companies? Discard any ideas that fail this evaluation process and narrow the list to the top three candidates. The next step is to choose a winner. Most of the time, the winner is obvious. One of the ideas in the list jumps out as being something that interests you or excites you. There are other times, however, when the winner is not obvious. If you are feeling uncertain about your ideas, start the process again. You should pursue an idea only if it lights your fire. Let me give you an example of how this process works. Like most people, I buy my food at the grocery store once a week. I drive there, get a cart, and walk through each aisle picking up food and checking things off my list. To be frank, I hate going to the supermarket but do it because I have to. Otherwise, I’d have nothing to eat. Clearly, this is a problem – not just for me, but for many folks. I asked my friends and they seem to hate grocery shopping as well. As I said, problems often equate to opportunities. While I was at the cash register paying for things, I noticed something interesting. For the most part, I usually buy the same things every week. Basically, every week I drive there, walk around the store, and pick up the same things. This repetitive process could surely be optimized – or automated. If the store implemented this process – or if someone opened a new store with this service – I could just drive there and pick up everything. If I need anything else, I could buy it on the spot. For me, this is ultimate convenience. It would make grocery shopping relatively painless. By the way, this idea isn’t new. Others have tried to solve this problem. Years ago, Webvan did something similar to address this issue. Unfortunately, their first try did not work. Their second attempt seems to be working better. Actually, it’s working well enough that even Amazon is giving the concept a try. As you can see, this is a simple example of how focusing on a problem can produce a business idea. In most cases, a good problem can produce a number of ideas. This is why I love this method of idea generation.